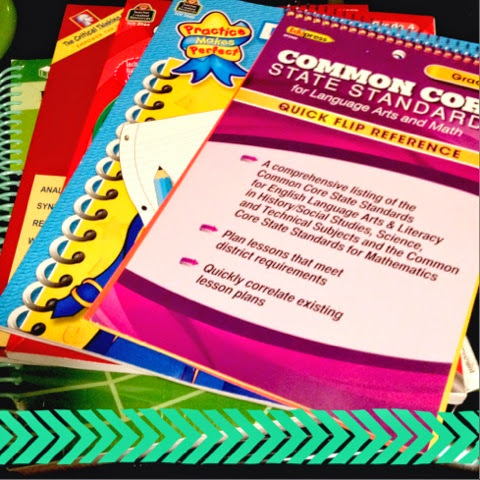 Endeavors In Education: A Peek at my Week! Sadly my spring break is coming to a close, but I have missed my students and can't wait to hear about all the fun things they did on their breaks. 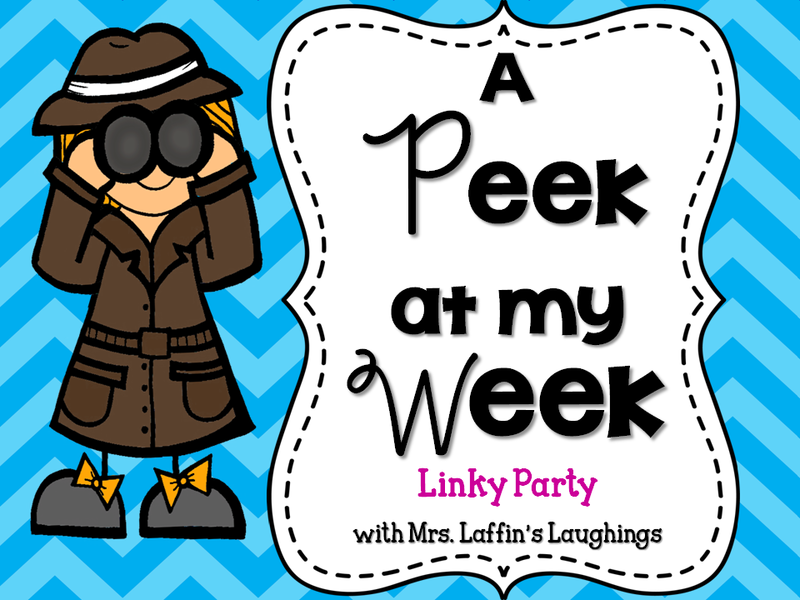 I'm linking up with Mrs. Laffin's Laughings for A Peek at my Week. Before break we were reading Hate that Cat by Sharon Creech. My kiddos are loving the story! We have been reading it aloud predominantly and are more than halfway through. 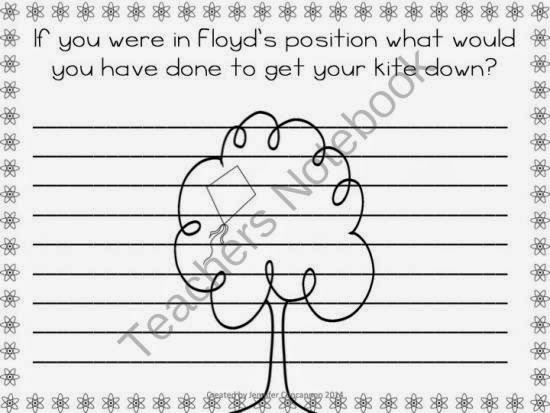 We will finish that up this weekend and finish our comprehension packet that goes along with the book. 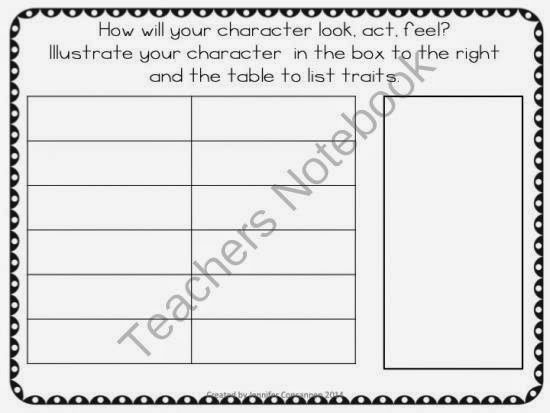 The packet talks about the elements of poetry, has comprehension questions, and pre reading activities. My students have been doing a great job in these packets and have been coming up with some great responses. (I'm sorry that the pictures are so small, but I had to take them from my TPT store since the file is on my school computer). 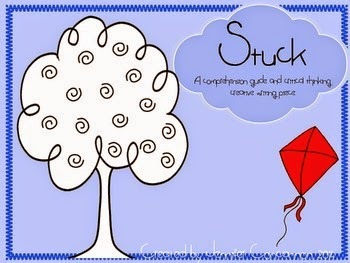 I also hope to finish up our Stuck writing pieces based off the book by Oliver Jeffers. We have been working on these for a while. I already wrote a blog post about how I use this book in the classroom. The writing prompt is to come up with a problem and a unique way to solve it. At first I had a lot of problems and solutions just like the book, but with some more brainstorming and discussions they really got creative. I am so excited to read the final products! We are also working on our inquiry projects for the science fair. I got a great resource from Mrs Renz Class at TPT on setting this project up. It is over 90 pages and includes a letter to the parents, timelines, and directions. 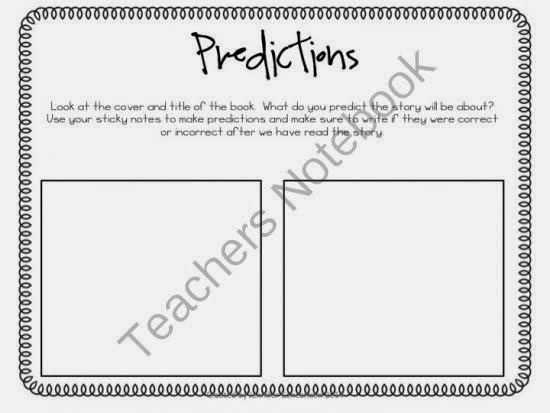 My students have been diligently working on these, but during science class time this week we will get these ready for our presentations next week. I can't wait to share some of the projects with you! Last thing...I promise...I went to the local teacher store this week and bought so much great stuff, including science fair certificates! I love the teacher store! Oops..forgot to tell you...It appears you are a "no reply blogger." (This means people can't respond to your comments when you leave one.) If you google this problem, there are lots of helpful tutorials on how to fix that. Thank you! I just fixed it...I didn't even know! 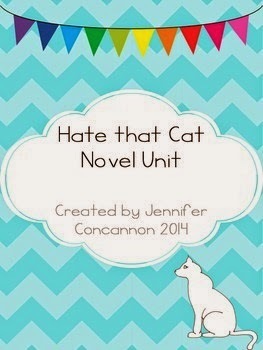 I have read "Love that Dog" but haven't had time to read "Hate that Cat". I bet it is just at good. Many of my students have read both during my poetry rotations before Spring Break!